Gregg Keizer summarizes reports from Microsoft and the Federal Bureau of Investigation indicating that fraud by individuals posing as technicians (or as the representatives of technology companies) is skyrocketing. Alicia Adamczyk suggest how much of an individuals finances should be in an emergency fund . Evan Schuman describes Walmart trying in-aisle checkout . Barry Schwartz reviews Google's practice of expediting search with autocomplete . His information comes from an article by Google's Danny Sullivan, who is quoted as saying: "Cumulatively, we estimate it saves over 200 years of typing time per day." J. R. Raphael reviews settings in Android which improve a user's security. Chris Matyszczyk reports on a developing loss of transparency in airline fares . Mike Elgin discusses how the mobile operating systems are in flux . Sarah McDermott interviews John Corcoran about growing up with dyslexia . Matt Kapco and Matthew Finnegan report on Microsoft's efforts to develop biometric security . Geoffrey Pullum explains what a shibboleth is. David Allan tells of how reading became precious to his family. Lee Wilson writes about Google's move to "mobile first" indexing of web sites. This means web page designers need to ensure that their mobile content meets Google's standards. Alix Langone provides the steps needed to delete your Google search history . Michiel Heijmans explains crawl errors . Preston Gralla uses two videos to share a few tips about Microsoft Word 2016 and Excel 2016 . If this was of interest, consider that Microsoft offers free training videos on all members of the Office family. nextavenue.org is a website providing advice for boomers and GenXers. For a sample article, read Richard Eisenberg's economic forecast . Wordstream has posted projections about the adoption of voice search . Farnum Street has a short essay on the difference between reversible and irreverible decisions . Jeff Bezos, founder of Amazon, considers this an important criteria in determining the amount of analysis a decision requires. Barry Adams reviews the use of URLs in search engine optimization (SEO). Bryson Meunier suggests methods for optimizing a website for voice . Evan Schuman notes that mobile two factor authentication can be frustrating if a vendor texts a landline . Sydney Johnson muses on the need for communication when talking about innovation. Mike Elgin suggests that e-mail is the foundation for a secure social network. As an active member of e-mail Listervs, I have to agree. Credo maintains an InfoLit Learning Community where professionals discuss information literacy and website evaluation. And it is a place for Credo to market its products. Peter Gosselin and Ariana Tobin write about age bias at IBM. Johnny Evans provides a tutorial on Apple Spotlight , the special tool for finding data on a Mac. Preston Gralla roasts Microsoft for making Edge the default browser for more functions in Windows 10. I agree that this is frustrating for the user, and may hurt the market share of the operating system. Mike Elgan extolls the future of touchscreen keyboards - once they adapt new technology just becoming available. Richard Garrett summarized a survey of educational leaders involved with academic online learning . 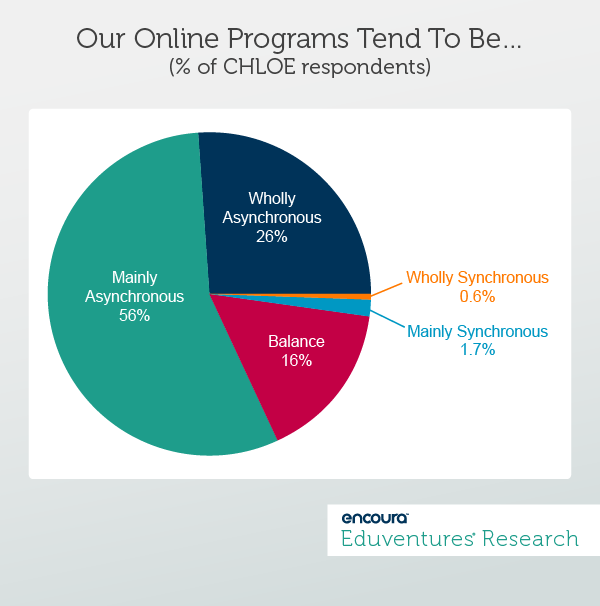 I found fascinating the survey's disclosure that only about two percent of online courses are "mainly synchronous." The vast majority of student learning is not guided by a faculty member in real time. Kathleen Daley passionately argues for using technology to accomodate for learning differences . Tara Seals reports thar university students are now mining bitcoins using their university's network, cost their school valuable bandwidth and decreasing cyber security . Policies need to be in place to forbid such activity on campus. Terry McGlynn observes that constantly changing leaders either inhibits long-term planning or makes evaluating leadership impossible. He argues for stable leadership which has time to make substantial change. McGlynn writes from his university experience, but I observe that some of the same arguments can be applied to term limits on political officeholders. Stephanie Buck shares how some travelers desire a "technology fast ," where they abstain as much as possible from using electronic technology. J.R. Raphael tells how one can configure an Android device to work in the Windows ecosystem . "Can We Go Back to Square One?" Farnam Street quotes Jeff Bezos suggesting that irreversible decisions require more deliberation than those that can be reversed. Lucas Mearian answers questions about the best pattern for charging a mobile phone battery. Research indicates that the range of discharge should be kept to less than half the capacity of the battery. And the battery should be kept as cool as possible at all times.